When you get a cold or the flu, you probably want to get in bed and stay there until you feel better. Rest and sleep are important when we are battling illnesses, including mesothelioma. But movement is also important. There are many benefits of exercise for mesothelioma patients. You don’t have to run a marathon (but you can if you feel like it). Gentle exercise for mesothelioma patients is a vital part of your treatment plan. Best of all, your workout can be one of your most positive experiences during mesothelioma treatment. Reduced fatigue. It may seem counter-intuitive that exercising will make you less tired. If you’re already feeling exhausted, it’s hard to imagine that more activity will do anything but drain your already depleted reserves of energy. But it’s true: regular exercise will give you back all the energy you spend and then some. You may be more tired the first few times you exercise, but you will soon find that the heaviness of fatigue lifts. It can be hard to overcome inertia if mesothelioma has knocked you off your feet, but it gets easier each time you get up and move. Improved mood. Depression and anxiety are common among mesothelioma patients. While counseling can be extremely helpful for these symptoms, one of the best ways to relieve depression is through exercise. The more you are able to move, the less you will feel helpless and hopeless. Exercise for mesothelioma patients can bring a sense of well-being and renewed self-esteem. Depression can feel like extreme fatigue; you may not want to get out of bed or up off the couch. But once you do, you’ll find your mood improves. Protection against muscle wasting. During chemotherapy, many mesothelioma patients find it hard to keep down food. Weight loss is common; for some people, this includes wasting away of muscle tissue. Muscle wasting complicates recovery and can worsen your prognosis. If you can keep moving during and after chemotherapy, you get the blood flowing to your muscles and help keep them – and you – healthy. More appetite, less nausea. Chemotherapy can take a toll on your digestive tract. 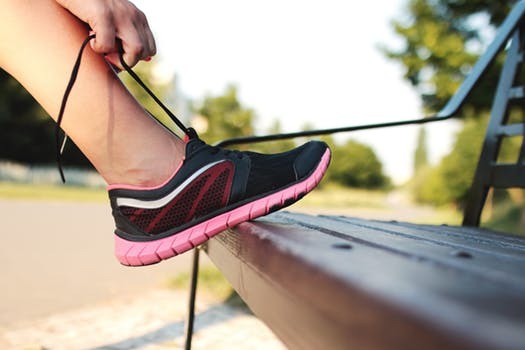 Exercise may help reduce the nausea that sometimes accompanies mesothelioma chemotherapy and increase your appetite, so you are able to maintain a healthy weight and keep yourself strong. Reduced risk of other illnesses, such as heart disease and diabetes. Exercise is at the top of the list of ways to prevent common, chronic diseases like diabetes and heart disease. These and other illnesses can complicate your mesothelioma treatment. Additional health benefits of exercise for mesothelioma patients. When you are inactive, you can become wobbly and more prone to falling. A fall can lead to a broken bone and more time in the hospital. Exercise will improve your balance and help you build muscles that are strong enough to keep you upright. Your lymphatic system, which carries wastes away from your cells, is an important part of your immune system. Your body doesn’t have a pump to move lymph the way your heart pumps blood; lymph relies on your movement. Every time you swing your arms or move your legs, you help your lymphatic system do its job. Each movement improves your overall health and helps you fight mesothelioma. These are just a few of the ways that exercise for mesothelioma patients can lead to better health, which is even more important during cancer treatment than before. People who are in good physical shape tend to be more resilient when faced with a serious illness like mesothelioma. But you can benefit from exercise even if you were a couch potato before you became ill. Here are four tips for exercise for mesothelioma patients, to help you build your strength and feel better. If you enjoyed swimming before your mesothelioma diagnosis, find a pool with a walking lane where you can get back in the water. If you were a runner, put on your running shoes and get outside. If you love to dance, play some of your favorite music and shimmy! Any exercise that you enjoy will be beneficial, as long as you respect your physical limitations and take it easy at first. If you didn’t exercise much or at all before mesothelioma, try a few different things to see what you like. Many cancer patients benefit from a gentle yoga class or tai chi. Simply getting up and walking can be great exercise for mesothelioma patients. If you’re in the thick of mesothelioma treatment, you may feel like you can’t move at all, but there’s almost always something you can do. Flex your feet and hands while you’re lying down. Get a squishy ball and squeeze it. Practice standing up and sitting back down a few times. Do one movement the first day and two movements the next. Build slowly. It may seem like so little that it’s not really exercise, but you will surprise yourself with how much stronger you feel, one baby step at a time. The results from exercise for mesothelioma patients don’t happen overnight. You might feel no different at first and wonder why you are putting in the effort. If you stick with it and increase slowly, however, you will wake up one day and realize that you have more energy and vitality. Every day that you are able to exercise is a victory. If you could only walk across your living room at first, celebrate the day you feel strong enough to go outside. Celebrate the day you make it around the block, the day you don’t need a cane, the day you can make it to a nearby park. You’re not in training for a marathon but for something much more important: you’re fortifying your body to stand up to mesothelioma. Exercise provides many benefits for mesothelioma patients, but there are risks if you overdo it. When you are in recovery from surgery, follow your doctor’s orders on what kinds of movement you can and can’t do. Don’t do anything that overtaxes your energy or puts you in danger of getting injured. The key to exercise for mesothelioma patients is to listen to your doctors and to your body. Do what you can and don’t judge yourself. Every time you move your body, you’re improving your survival time.